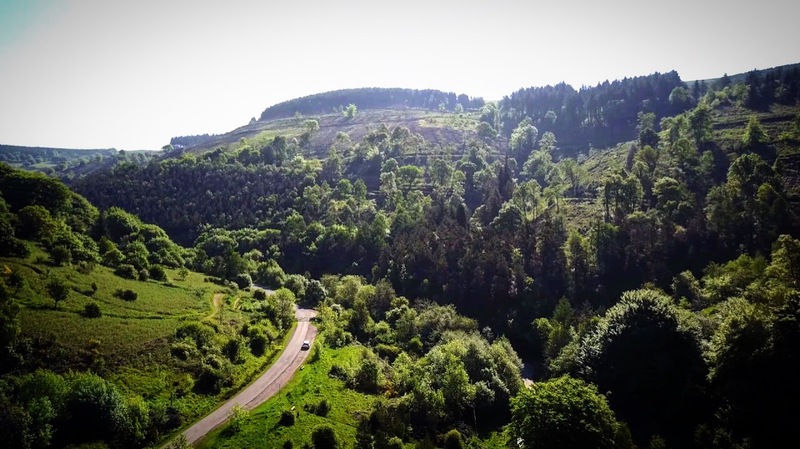 Meet at: 9:30am for first uplift at the car park (more below). Uplift – On – Demand. We can open the uplift, if we have groups of 5+ that want to ride on a midweek day which is currently closed. Simply enquire. If we aren’t out riding and don’t have anything else important going on, we’ll open for you. We will open your date online, then you’ll have 24hrs to book it (minimum of 5 riders). To speak to us… Do look at the Frequently Asked Questions page first. Thanks. 10am to 6pm Wednesday to Sunday. (Closed on Monday & Tuesday). Don’t forget your carpark money, cash only £1.00 for 2 hours, then £3.00 all day. From juction 28 of the M4, just follow the A467 heading north. You should see a sign for Cwmcarn Forest Drive at one of the roundabouts, turn right here, then after 150 yards or so, you’ll see another sign to turn left. Go up the lane over all the speed bumps, you can either pull into the main carpark on the right, or go another 100 yards and park outside the center if there is space. For those of you using sat-nav, use NP11 7FA, this will take you close to the visitor centre, but some Satnavs will lead you to a side street just around the corner. Cwmcarn Forest Drive is well sign posted, so once you get close, just follow the signs. The pick up point for the uplift is in the main car, so turn right just before you get to the visitor centre. Park up, get yourself and bike sorted, then report to one of the drivers with your name and booking reference. Don’t forget your carpark ticket. £1.00 for 2 hours, £3.00 all day. If you are on a greek island, and have strayed a little farther than the cocktails and beach bars. 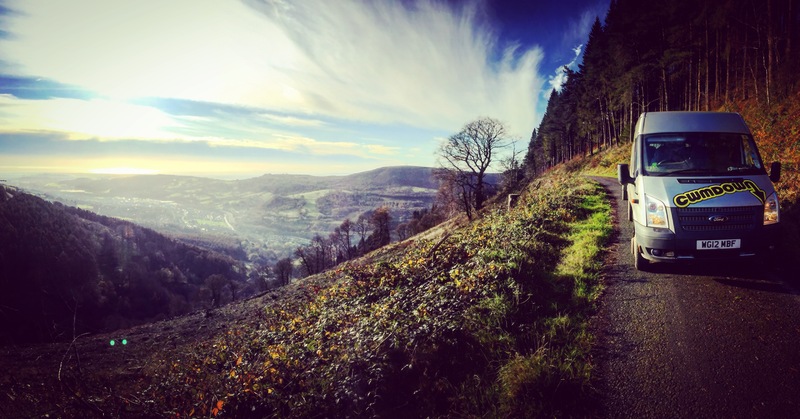 Simply rock up to Cwmcarn, it’s easy to find. 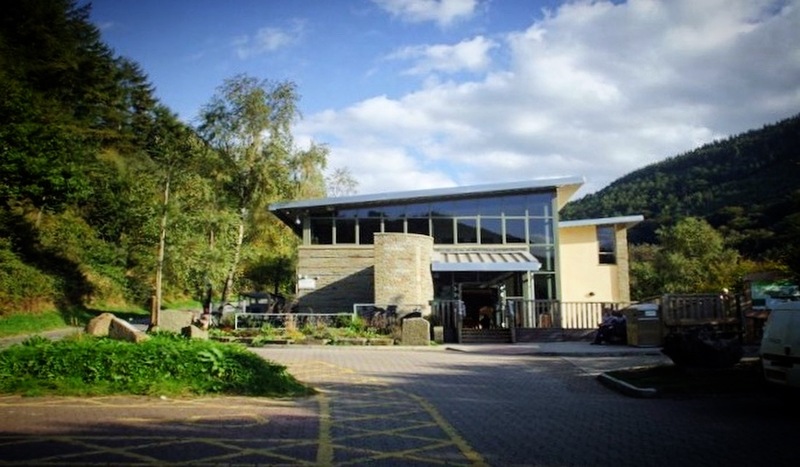 The Cwmcarn visitors centre is run by Caerphilly County Council. 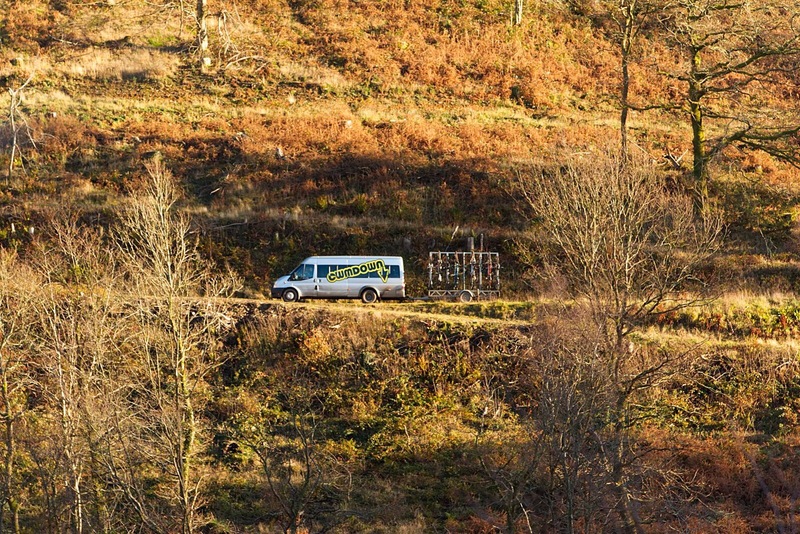 They can help you with your camping, or glamping pod enquiries.